The price of a ticket with low-cost airlines such as Air Arabia and flydubai may in fact be higher than regular airlines such as Emirates or Etihad, and that may be true more in the summer and on routes that witness a higher demand at the time, and despite tickets being booked in advance. For example, for a return flight from Dubai and Sharjah respectively to New Delhi, India, booked a month in advance for departure on July 6 and return August 16, Emirates quoted a price of Dh1,585. For the same destination and the same dates, Air Arabia cost Dh1,632. In another instance, for a return flight from Dubai to Amman, booked 30 days in advance for departure on July 25 and return on August 15, an Emirates ticket was priced at Dh1,735. With flydubai, the tickets cost Dh1,804. Even if a low-cost airline was charging less, in another case, the price difference with a regular airline was almost negligible. Booked more than a month in advance for a July 10 departure to Jordan and return on August 11, Emirates had a fare of Dh1,625 and Air Arabia’s ticket price was Dh1,564, a difference of only Dh61. When comparing prices, one has to keep in mind that low-cost carriers such as Air Arabia do not offer any frills in the form of in-flight entertainment or catering. Food or drink is available for a charge. And some passengers feel it’s a hassle to go all the way to Sharjah Airport, which costs, in some cases, a considerable taxi fare. Also, in some cases, Air Arabia may not be flying to the main airport but a secondary airport. For instance in Egypt, Air Arabia flies to Alexandria rather than Cairo. That could be an inconvenience and incur extra costs to travel to the capital city. But that is a trend followed across the world. Low-cost carriers fly to cheaper, secondary airports and that has an effect on the price, making it lower. According to David Kaminski-Morrow, air transport editor at UK-based aviation information firm Flight Global, “one of the shrewdest achievements of the budget airline industry” has been to give the impression that its fares would always be cheaper than a competing legacy airline, which isn’t always the case, particularly on routes with the greatest demand. “‘Low cost’ does not automatically imply ‘low fare’,” says Simon Calder, presenter of BBC programme Fast Track’s Travel Clinic and a long-time observer of the travel industry. “Airlines, whether ‘legacy’ or ‘no-frills’, will quite rationally seek to extract the maximum they can from each departure.” So, how are the prices of low-cost carriers determined? One of the factors that make low-cost airline tickets cheaper than regular airlines is that tickets are mostly sold directly, online. In the case of easyjet, for example, it is almost 95 per cent of the times. Flydubai’s chief executive, Ghaith Al Ghaith, says the carrier’s best fares are always on flydubai.com and the earlier you book the cheaper the fare. Timing of the ticket purchase is a factor. Last-minute bookings will be more competitively priced. 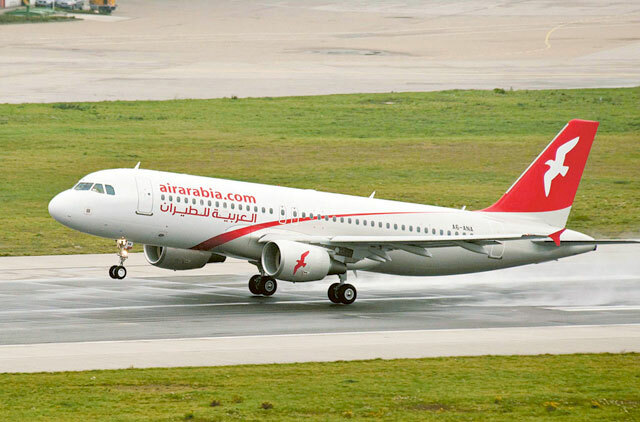 Air Arabia has adopted several cost-reduction strategies popular among other low-cost operators such as the single-type fleet (A320 family), the single-class seating, use of online ticketing, high productivity and high utilisation, but the distinction between low-cost and legacy airlines is not as clear as it used to be, Flight International magazine’s Morrow pointed out. “But some low-cost carriers have raised their on-board service in the same way that some legacy airlines have reduced theirs,” he says. To be fair, there were fares at low-cost airlines that were significantly lower than regular carriers. For instance, for a ticket booked about 25 days in advance for a return flight to Chennai, Emirates was charging Dh2,675. Air Arabia, on the other hand, was much lower at Dh1,850. 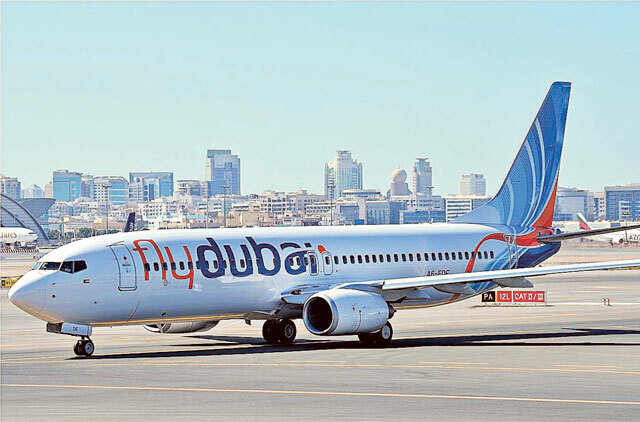 Flydubai has announced a sale between 25 and 50 per cent for travel until August 3 across the Gulf region. In addition, the Dubai-based low-cost carrier is going to offer customers an uncommon choice: Business Class services from October. For Dh10 additional charge, the carrier offers in-flight entertainment. The average age of flydubai’s fleet—Boeing 737-800 aircraft is two-and-a-half years old and they have 900 hours of entertainment available in every seat back. Also, it provides opportunity for passengers to connect across their network as well as further afield through their interline agreements. Revenue management is a complex business, and an airfare takes into account many factors. “It’s not unusual for fares to change rapidly depending on the day of the week, the probable composition of the passengers, the fares on offer from the competition, real-time demand for seats, the lead time before the departure, and other elements,” Kaminski-Morrow said. Fares can also fluctuate due to external factors such as fuel price. “Fuel costs represented 39 per cent of our total operating costs in 2012,” Al Ghaith said, adding that other considerations include currency fluctuations, demand and market. Industry watchers hope that competition will keep them all — both low-cost and legacy carriers — honest. In other words, if one raises fares too much, it should lose market share to the others, the BBC’s Calder said.